This three-story apartment building is the place for students looking for an active and vibrant community on the leading edge of communications and technology. 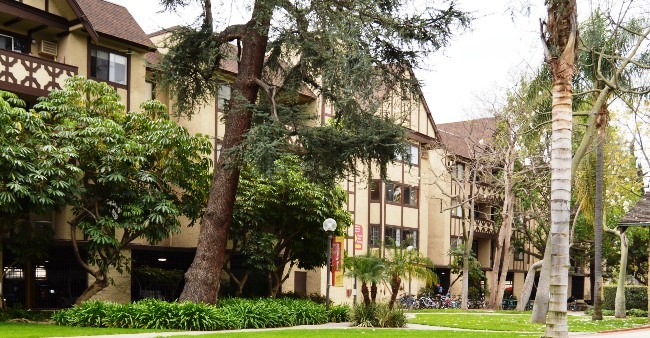 Annenberg House is a residential community for currently enrolled undergraduate and graduate students of communication, journalism, and public relations, and their roommates, regardless of school affiliation. 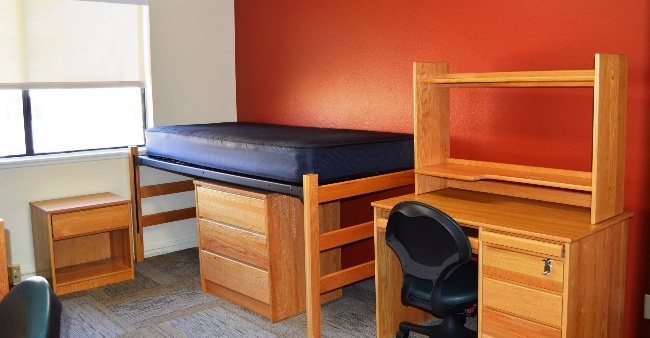 It is also an excellent housing option for transfer students. 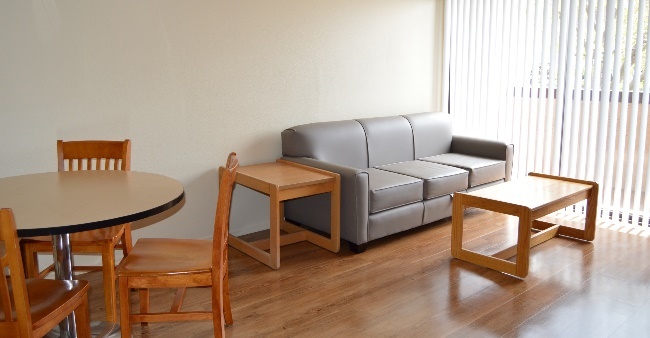 For undergraduates, Annenberg offers two-bedroom apartments accommodating four students each. 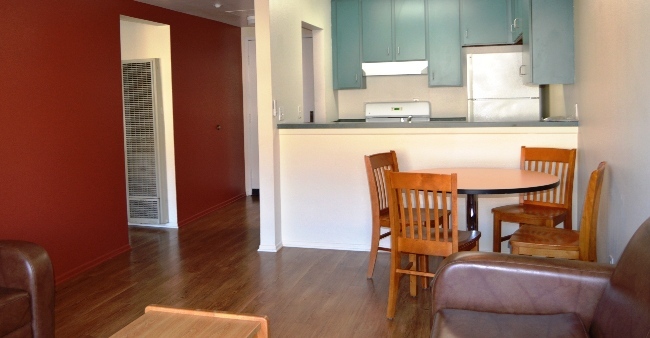 The two-bedroom apartments are reserved for graduate students; in these units each resident has their own bedroom. 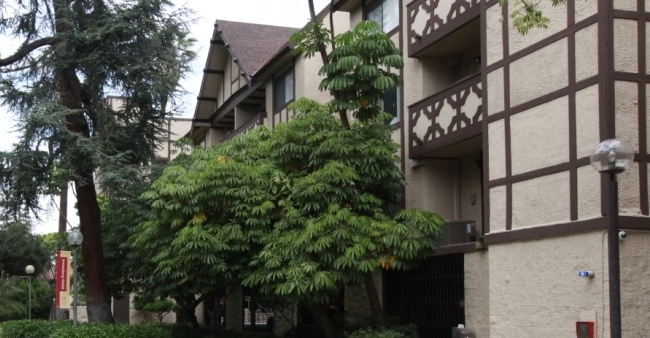 All of Annenberg's apartments have individually air-conditioned living rooms and bedrooms, and many have balconies. 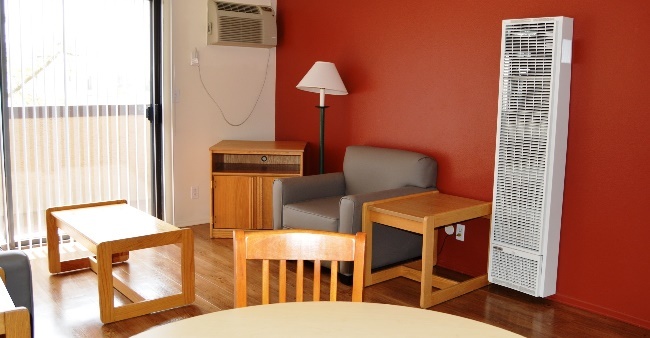 Recent improvements include new LED lighting, ceiling fans, dual-pane windows with modern coverings. 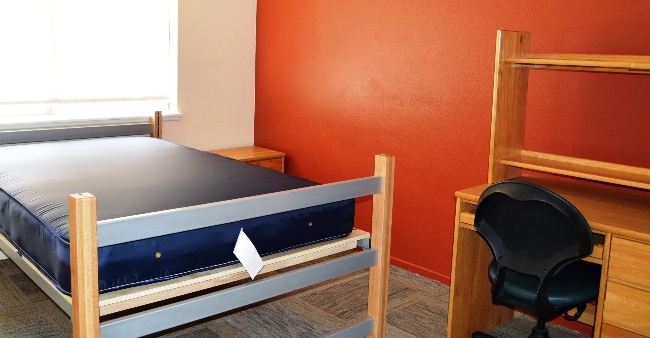 The exterior of the building was recently renovated and each apartment was fully refurnished, with new beds, desks, chairs and tables. 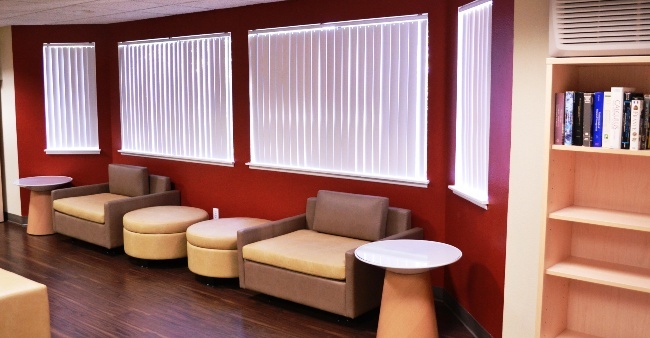 Resident facilities include a study/reading room on the first floor, a computer room on the second floor, and a lounge with an 80-inch flat screen television and state-of-the-art AV system available for both presentations and entertainment. And it's easy to keep in shape using the cardio fitness center on the first floor. The building has two large laundry rooms. The lush lawn adjacent to the building is a great spot for football, Frisbee or just relaxing. Two built-in barbecues in front of the building are a great location for social activities or tail-gating before a USC home game. Graduate students assigned to Annenberg House will have the Graduate Academic Year contract, beginning in early August and ending in May. Undergrads in Annenberg will have the standard academic year contract term. The ground floor parking garage offers both car and secure bicycle parking and there is a USC bus stop on site. The residential community will allow for a 24/7 Annenberg experience that keeps the Annenberg School for Communication at the forefront of camaraderie and collaboration. The program will feature exclusive Annenberg programming and activities. Some courses, academic advising sessions and special events take place next door at Kerckhoff Hall (KER), a Tudor-style mansion with a large and accessible front lawn.